Want bolder ventures and better figures this 2016? Then, it’s time to raise the bar for your business. The business plan you used when you were starting your business in Singapore should look very different by now. Redirections and alterations mean you’ve been striving for growth and heeding what your unpredictable market wants. With the current economic mood of Singapore, making changes that are more specific, results-oriented, and realistic will keep your business moving forward. So this 2016, factor in your slips in 2015, the predicted trends this year and your customers’ appetite when you review your business plan. What are consumers and investors craving for nowadays? What is the latest trend in your industry? What small and big changes are you going to respond to the demand? 2. Open your door a bit more. If you have been networking for the sake of referrals since last year, consider it also as a learning opportunity this year. Go where the movers and shakers in your industry are hanging out. Connect with people who can give you sound business advice and widen your perspective as an entrepreneur. You may have delayed delegating administrative tasks last year due to trust issues and budget concerns. The new year presents so many opportunities that require your attention. Moreover, your productivity levels suffer when you are distracted by non-core responsibilities, such as bookkeeping and marketing. Pinpoint areas in your business that consume your time the most, and look for experts who can do them for you. It’s time to discover how this kind of investment can help you get fast, meaningful results. One of the greatest nightmares of a startup founder or any entrepreneur is receiving a resignation letter from their top talent in the team. A jobsDB survey in 2015 shows that job satisfaction for Singaporeans is rooted in their relationships with colleagues and bosses, while dissatisfaction stems from the lack of career growth and inadequate learning and development programs. Remember that as a small business owner, losing great people and finding replacements can be costly and time-consuming. If eating meals together was your thing last year, take it to the next level: Encourage them to join you in your business meetups, send them to training programs, delegate to give them a sense of ownership, implement work patterns specifically designed for them, or hold a team-building activity. 4. Develop a Plan B and a Plan C.
If you’ve experienced setbacks and major business disasters last year, you now know that building backups for every step you will make is essential. This can even boost your confidence in decision making and lessen the impact of any unforeseen event. Focus and work hard on your Plan A but at the same time, be proactive. Mistakes are almost always inevitable when it comes to operating a business. Do some research in your industry, look at the missteps of your competitors, assess the possible problems your business may face. Keep yourself informed so you can develop a crisis management plan in case things do not work out in your business’ favour. 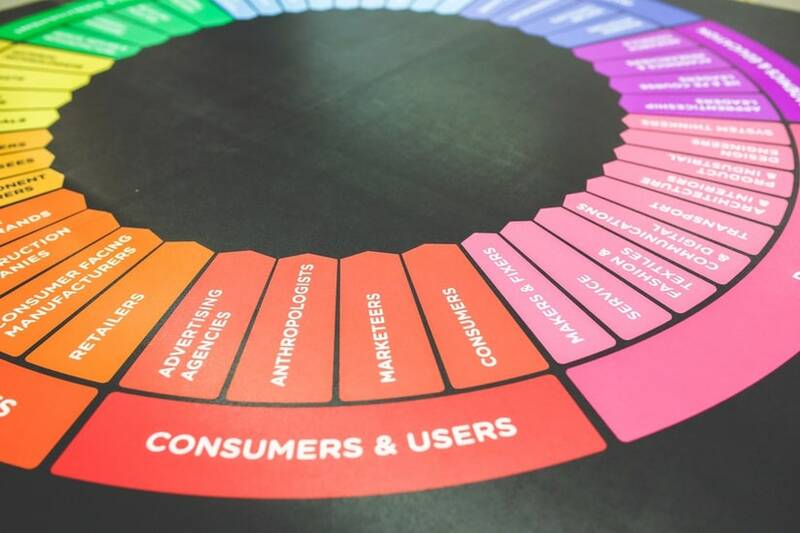 Every now and then, a new application or tool enters the market and the media brands it as a “must-have” for businesses. This year, do not jump on the bandwagon and get apps that sound exciting or promises. Invest in tried and tested tools that actually meet your business needs and improve your efficiency. You can always outsource accounting and bookkeeping services in Singapore, but taking time to understand where your money goes, tax requirements and schedule and cash flow issues can help you make better business decisions in the future. Did you find yourself in the dark last year when a fellow entrepreneur mentioned the government’s wider tax incentives and grant schemes for SMEs planning to launch activities overseas? Read the news, stay updated on government announcements and other things that may affect your business operations or the marketplace. This way, you can prepare well for any changes or take advantage of opportunities. Branding is not just aesthetics. It is a strategy to make your quality unique and memorable so you can establish a meaningful connection with your target market. How you display your brand out there is the customers’ first experience of your business. And how you treat your customers will shape their impression of your business. So strive to refine your brand this year to be more relevant to your customers. Were there conversations last year that you wish you handled better? When you go to networking events or present products to your customers, people would notice your lack of confidence and inability to make your discussion relevant to them. Refine your communication skills by knowing the core of your business by heart, studying the types of people you will meet, learning some business jargon, and facing the mirror every morning to practice your spiels and gestures. Maybe you’ve created referral systems and offered various incentives last year. 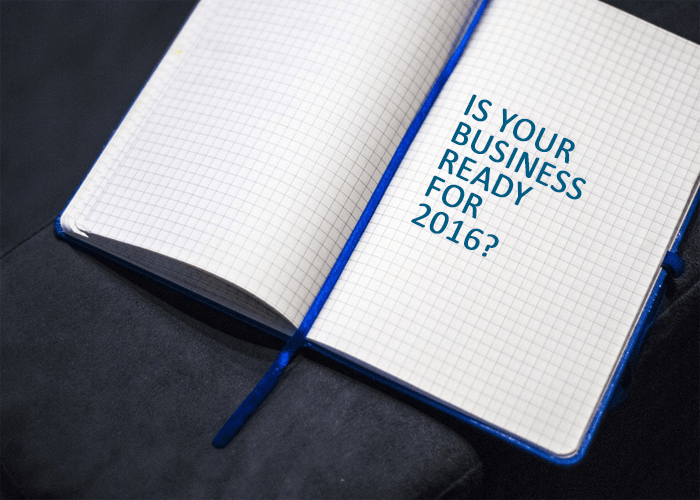 But for 2016, go beyond scrutinizing your customers’ purchasing habits and focus on what makes customers care. Invest your time in getting quality customer feedback and hearing out their main concerns about your business. Even better, keep your business relevant to their lifestyle and advocacies. For example, according to the 2015 Nielsen Global Corporate Sustainability Report, Southeast Asian consumers tend to pay more for sustainable products and services. What does your market care about today? 11. Develop an online strategy. If your business is simply on social media or mobile ready, it won’t do much. The issue is not about your presence but your strategy. For example, if your online activities are not responding to your market’s mobile behaviour, you won’t be able to attract actual customers. To rearrange your strategies, do your research first, spot the gaps and opportunities, and apply the most appropriate solution. 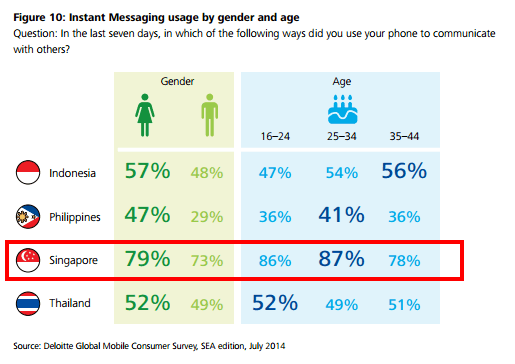 What changes will you make if you find out that the females aged 25-34 in Singapore whom you are targeting use instant messaging? How can you incorporate this fact into your marketing strategy? 12. Give time for personal growth. You cannot absolutely separate your personal New Year’s resolutions from your business goals. Your daily habits and principles affect how your small business runs. Sometimes, what business owners need is more than just technical training but also opportunities where they can know themselves better, hone their decision-making skills, and clarify their goals in life both as a person and business owner. You can do this by reading books, joining group sharing sessions, attending retreats, or connecting with experienced people in the business. 13. Keep your 2016 resolutions. This is the toughest resolution to make. There are two simple strategies that you can do to keep your promises without putting too much pressure on yourself. First, share your resolutions with your team. Explain to them your motivation so they can understand and adjust if there would be changes at the office and habits you want to adapt. You might even get their support and inspire them to step up their game too. Next, announce your plans not just to your team but also to your family and if you find it comfortable, on social media. When you publicly share your wants this year, you may become more motivated to avoid disappointing people and prove that you mean what you say. Many people question the effectiveness of New Year’s resolutions. But the truth is resolutions are not the ones that fail. The question is: what will stop you from accomplishing them?